"Cute and Fun, with a Great Message "
Stacy is a professional baker in Chicago. When her best friend and baking partner, Kevin, enters her in a baking contest in Belgravia, she’s at first hesitant to go. Stacy’s personality is to plan, plan, plan, but the contest is miles and miles away and happening very soon. So, Stacy, Kevin, and Kevin’s daughter, Olivia, decide to go together. When they arrive, they start setting up their baking supplies, and Stacy runs into a woman who looks exactly like her. This woman turns out to be the Duchess of Montenaro, named Margaret. Margaret has always longed to have some normalcy in her life. So, she asks Stacy if they can switch places. At first, Stacy doesn’t think it’s a good idea, but Margaret agrees to sponsor Olivia to dance in the ballet in Belgravia if Stacy agrees to do it. The two young women do the switch, and Stacy has to fool Margaret’s fiancé, Prince Edward. Not too long of time passes before Prince Edward and Stacy start to have a real connection. Will she be heartbroken when Margaret and Stacy switch back? Will Margaret be able to pull off the switch without anyone noticing? THE PRINCESS SWITCH is a fun, cute movie that can be enjoyed by the whole family. It’s an entertaining combination of THE PRINCE AND THE PAUPER and THE PRISONER OF ZENDA, told with women as the main characters who switch places with royalty. MOVIEGUIDE® is happy to see a movie on Netflix without questionable content, no cursing, and with a moral theme. The main character gives to the children in the orphanage and visits them every month. She’s shown to have a big heart for those in need. This is a great message to younger girls and children to see a character who’s giving and loving. THE PRINCESS SWITCH is a Hallmark style Christmas movie that viewers can easily access with a Netflix account. The movie is fun and enjoyable. Though clearly not a big budget, the movie is well done. As usual, Vanessa Hudgens, who plays both Stacy and Margaret, has a delightful twinkle in her eye. THE PRINCESS SWITCH is a family movie available on the Netflix streaming service. A young woman named Stacy travels all the way from Chicago to Belgravia for a baking contest and meets a Duchess who looks exactly like her. The two women agree to switch places. Stacy now has to fool Margaret’s fiancé. However, when the two develop real feelings for each other, Stacy wonders if she has put herself in a heartbreaking situation. Meanwhile, Margaret has to fool Stacy’s baking partner, Kevin, another handsome young man. THE PRINCESS SWITCH is a fun, cute and clean movie that can be enjoyed by the whole family. MOVEIGUIDE® is happy to see a movie on Netflix without questionable content and no cursing, but with a strong moral theme stressing generosity, taking care of the needy, and love. Though clearly not a big budget, the movie is well done. As usual, Vanessa Hudgens, who plays both Stacy and Margaret, has a delightful twinkle in her eye. 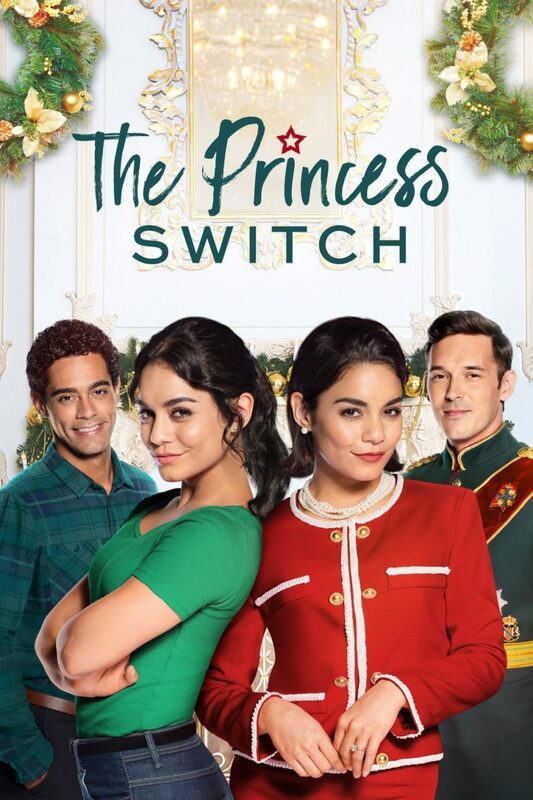 THE PRINCESS SWITCH is a Hallmark style Christmas movie that viewers can easily access with a Netflix account.